One of my recent photographic goals was to create depth in my photos. By placing the rocks in the foreground, I think I accomplished what I set out to do. 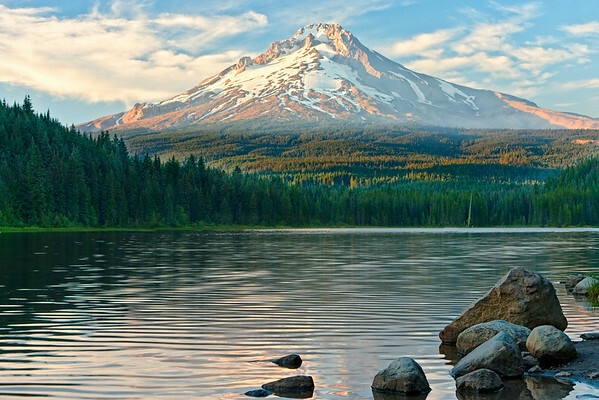 Trillium Lake is a great place to photograph Mt. Hood late in the day. Unfortunately, raging forest fires nearby, put smoke in the photo at the foot of the mountain.